Blast off into adventure with these printed removable and reusable wall vinyl graphics! 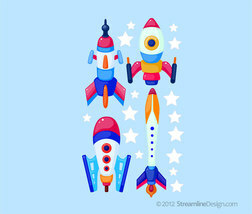 Rockets vary from 8" x 10.5" to 4.5" x 17". 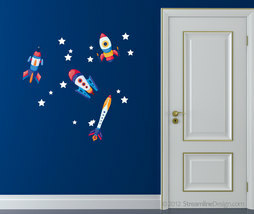 Set also includes and assortment of 15 stars Our rockets are digitally printed on high quality removable and reusable wall fabric. Be sure to keep the backing paper for storage should you want to remove them and use them elsewhere later. Easy to install. Simply peel off the backing paper and smooth onto your wall. 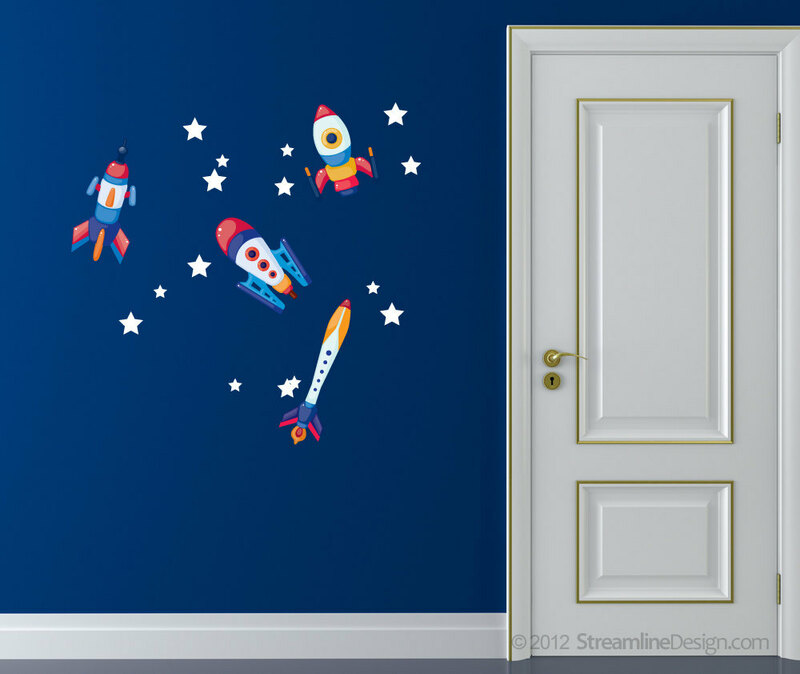 Note: Our high quality printed removable wall fabric won't harm the surface or leave a glue residue and won't peel paint on properly prepped, primed and painted surfaces.